JC tours had the best price in town for all the tours. Staff was very attentive and helpful. Had a great time with them and would highly recommend to everyone! Very Good service by Jc tour.. starting with the complimentary welcome pickup at airport to send us to hotel. 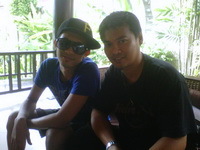 We took a trip to Raya island and half day city tour. The timing was punctual and the service was good.. The car used for half day tour was very comfortable and the driving was good Thank you for the good service. 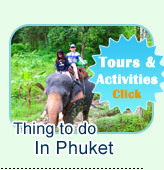 We are grateful to have choose JCtour as a all in tour package while our visit in Phuket. Why you need to pick JCTour: 1. they are extremely professional and always handle you with a smile and great customer service. 2. Their price are competitive and cheaper than if you book on the island . A friend of mine get higher price , and they book in the airport! 3. They have return your money policy. if your trip cancel because of the bad weather or in my case: the ship broke down. They will replace your trip to another day. 4. 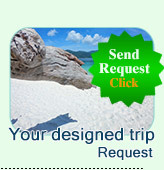 They provide free car service from airport to your hotel in patong, kata, karon. I have book JCtour to the second time visit and will still book them on my 3rd. 4th , 10th times. They are that good. You need to stop wasting your time: looking and researching other company. I know i did and i choose right by selecting JCtours. Total: I have taken 4 or more tours with JCtour and worth every bath i have spent. Thank you Ms.Umpawan Kaewka for all your help and hospitality. From the time we were picked up from the airport until the time we were dropped off there, JC looked after us fantastically well. Apart from the transfers, we also arranged a tour of Pkuket and visits to Phantasea, PP Island & James Bond Island through the. Everything was organised really well . Thank you. It was really good to be able to sign up with JC Tours for all the types of activities that I was planning for. As such, I only need to deal with JC Tours and no other agencies. The pick up at airport was also a valuable added service which me and my family greatly appreciate. Thank you for the patience in answering to my numerous emails and questions. Strongly recommended !!! Everything was arranged fine, except for the weather ;-), but that wasn't too bad either.